Our simple everyday actions have a profound impact on the world around us. Just make a few changes in your lifestyle to make the world a lot greener. As human beings, we have been destroying our environment and polluting the nature since the industrialization of our civilizations. Now is the time to start restoring our environment and all you need is just a few minor lifestyle changes and you can become a part of the solution to the pollution challenge we all face. So if you are passionate about the environment and feel that you should do something more for the planet, here are 11 everyday habits that you can practice every day to help out. They will help the planet and also help you save some money at the same time as we all like to do here. Instead of driving everywhere, try walking short distances. It will take care of your health and also reduce your carbon footprint. A simple thing but we have gotten so used to driving everywhere that we forget that this can have a negative effect on the atmosphere and also makes you spend money on gas which we all would rather save so we can spend it on other things or save it. The fewer cars we have on the road the better it is for the environment. Try to drive to work with a friend. On average, carpooling can save 50% of carbon emission and also save you money on gas. Think about all the empty seats that are in all the cars you see during the rush hour and think of how much less traffic there would be if the cars were full. This would make commuting time to work, school etc faster and it would make all of us spend less gas which is good for the environment and our wallets too. Ride the bus to work whenever you can. It’s economic, safe and environmentally friendly. Riding public transport to work would definitely reduce your transportation costs and air pollution from emission. It is also quite cheap so it can save you money from putting gas in your own vehicle. Use recyclable and reusable grocery bags instead of plastic bags. Make this a habit and you’ll save a lot of landfill space and pollution from plastic bags. As you may have noticed, a lot of supermarkets here in the US have started only giving out paper bags because they are recyclable and they charge you for buying bags from their store, so why not get grocery bags you can use over and over again and you can save money on them and reduce bag consumption. Buying from your local merchants allows you to eat fresher and healthier. It’s better than buying food that has been processed, packaged and flow from around the world. It reduces pollution and also helps to save the energy needed for transporting, packaging and storing. It also boosts your local economy. Food in farmers markets tends to be cheaper and of high quality, so take advantage of this fact and use it to your advantage. Make sure your home is energy efficient with no leaks. Make sure your walls, windows, doors, roofing and siding are in good condition without leaks. A well-insulated home can save you energy and money on your energy bills. Inspect your home and get all necessary repairs and modifications done. Try to repair and reuse old items like old furniture, clothes, and appliances. If you don’t want to use them, donate them to charity or sell them at a garage sale. It will help you to clean your house, earn some money and also utilize old items instead of trashing them. Also throwing out stuff that is no longer necessary makes a home feel a lot lighter so that is another advantage. If you have old appliances that are just inefficient and energy guzzlers, get rid of them and replace them with new energy efficient ones. A little investment will go a long way in saving you money and energy in the long run. Check your heating and cooling systems regularly. Repair any faulty ventilation system, air ducts or air filters. Service and change your faulty heating and cooling system components and filters to make your systems more efficient and save you money. Indoor plants can be a healthy way to purify your indoor air. They are also great for indoor decoration, and you can grow your own healthy foods indoors. Another great and simple way to make your environment more pleasant by using nature-friendly methods. Turn down your thermostat by 2 degrees and put on some warm clothes. It will save you a lot of money on energy bills and also reduce the amount of carbon dioxide emission. Just put some warmer clothes when you are indoors to make up for the slight temperature difference. 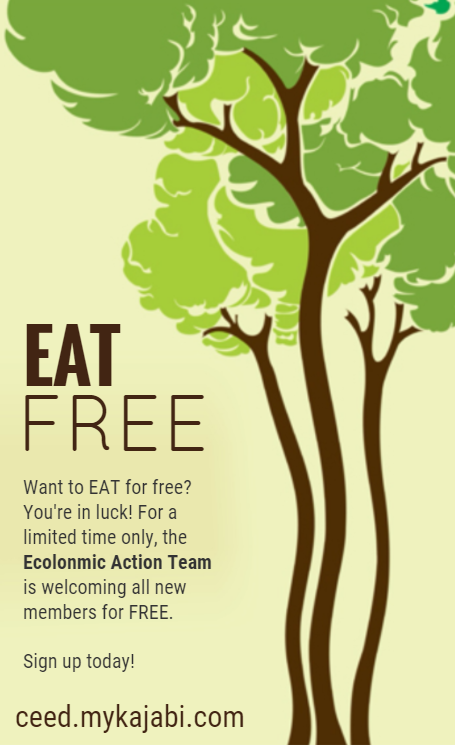 P.S: For more ecolonomic ideas, join our Ecolonomic Action Team (EAT) Community. also transform your health, and enhance your confidence within the procedure. By exercisinng the muscles you’ll dramatically enhance your fat burning capacity that can burn that extra weight right off.